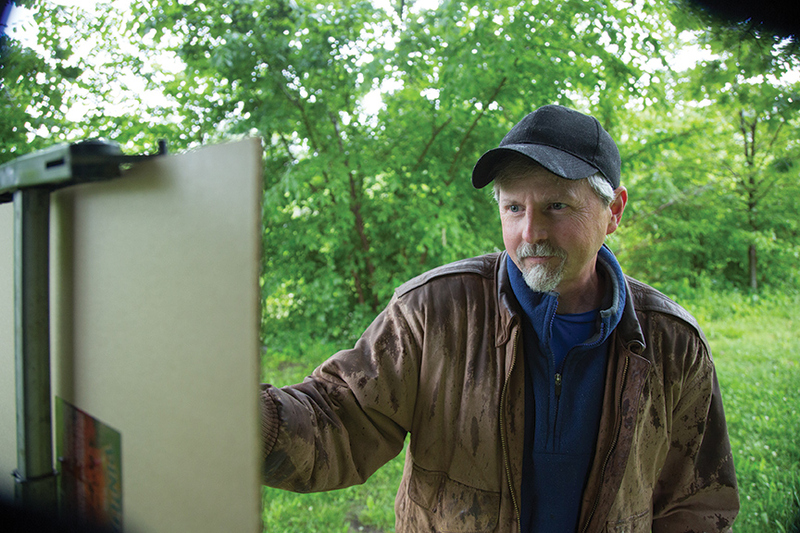 En plein air artist Shawn Cornell paints beautiful landscapes completely on location. 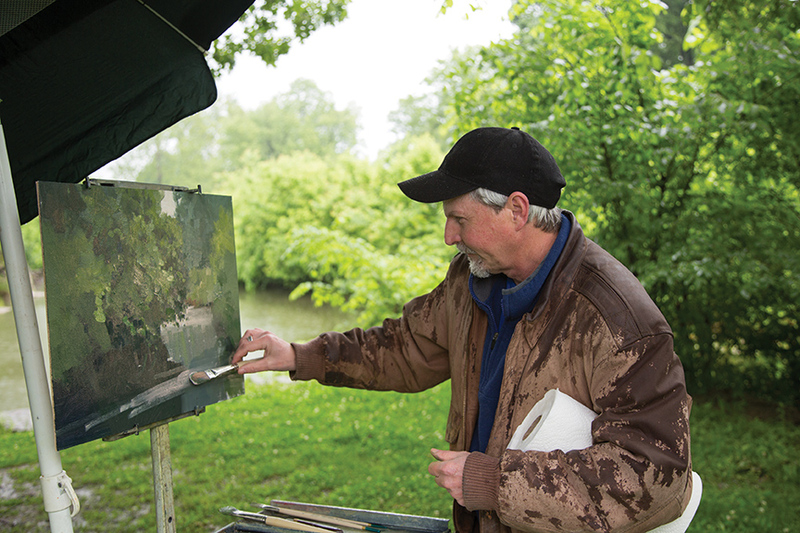 There's a saying that local en plein air artist Shawn Cornell has coined as a way of explaining his craft and it goes like this, “If you see snow in the painting, it means the artist was standing in snow. 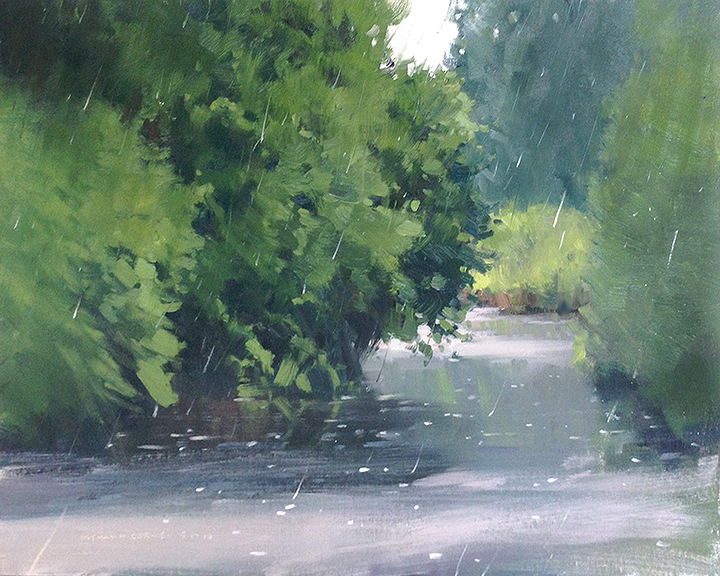 If you see rain in the painting, it means the artist was getting very wet.” That's the medium of en plein air in a nutshell. 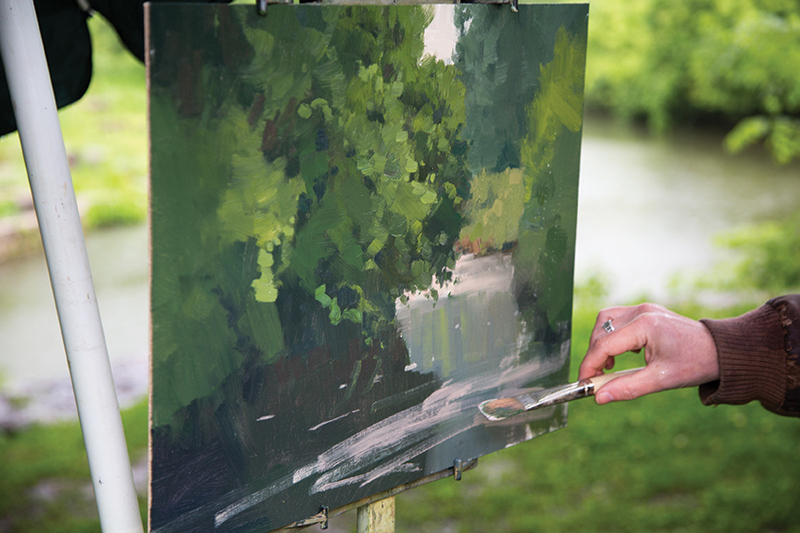 It's the process of painting your subject on location in the open air, whether it's rain or shine or even snow. 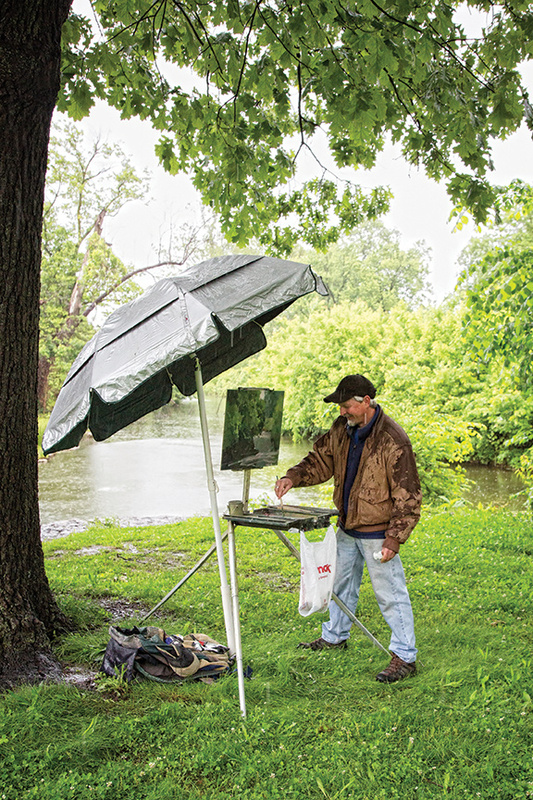 Traditionally, up to 75 percent of a painting must be completed outdoors to be considered, but Cornell takes that tradition a step further by completing his work 100 percent on location. So, how did Cornell become such an artistic purist? The answer to that question begins way back in childhood with the help of his father. “When he came home from work he would paint and—as a way to get us interested—he would draw a little character or something and we would try to duplicate it,” Cornell explains. Since then, Cornell has always been an artist—first striving to receive a higher education in fine art, then pursuing a career in graphic design, all the way up to the year 2000 when he finally picked up a paint brush. A couple of years later, he knew for sure that this was his calling and what his next step had to be. “In 2002, I gave my employers at Paradowski Creative a five-year notice. From then on, I would go to art fairs and workshops, constantly honing my skills. Then finally in 2007—right on schedule—I took the leap to become a full-time artist,” he says. Nowadays when he's not working art fairs and exhibitions, he still finds time to bond with his father over art. “Every Sunday I'm still out painting with my dad,” Cornell says. As for Cornell's process, it's actually rather simple. “I go out and find something that inspires me,” he says. “I do a quick sketch on the canvas and then I paint. They say painting is all about putting the color in the right place, so that's what I try to do.” And that's indeed what he does. Each brush stroke is a mixture of precision and spontaneity. Then there's his distinct dedication to 100 percent completion on location. Some might call it obsessive, but Cornell assures us it's all about the challenge. “It's really something that I want to see that I can do. 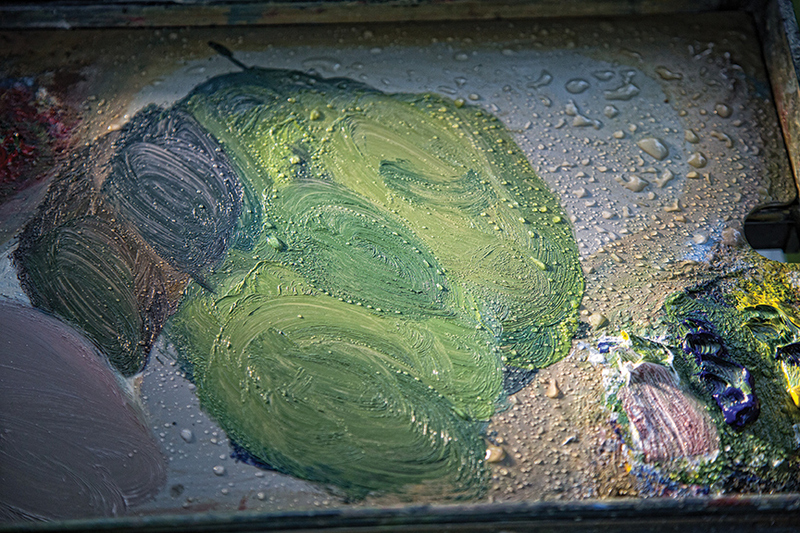 To take a raw piece of whatever, go outside and come back in with a finished piece of artwork,” he says. Another defining factor about Cornell is his affinity for painting the wide-open landscapes and industrial history of the Midwest. “My wife and I head out to Colorado to paint the mountains, rivers and pine trees, but after two weeks it all looks the same to me and I'm itching to get back to St. Louis. There's a lot of people that think to find beautiful landscapes you have to look on the coasts and there's nothing in between, which is unbelievable to me,” Cornell explains. The best way to keep up with Cornell's appearances and exhibitions is to keep an eye on his website.